The Vatican is trying to clean up its reputation for shady money. Two top officials at the Vatican bank have resigned as the Holy See comes under growing pressure to clean up its finances. Director Paolo Cipriani and his deputy Massimo Tulli resigned this week as Italian prosecutors continue a three-year investigation into the bank, formally known as the Institute for the Works of Religion. The investigation led to the arrest last week of a Vatican official, a financial broker and a former secret service police officer over an alleged attempt to smuggle millions in cash into Italy, according to Rome's prosecutor. The Vatican made no reference to the arrests or investigation when announcing the resignations but stressed the need to accelerate efforts to repair the bank's reputation. "Since 2010 the [Vatican bank] and its management have been working hard to bring structures and processes in line with international standards for anti-money laundering," said Vatican bank President Ernst von Freyberg in a statement. "It is clear today that we need new leadership to increase the pace of this transformation process." Freyberg was hired early this year by Pope Emeritus Benedict to head the Vatican bank and clean up its finances. He will continue in his current role and become acting director of the bank until a replacement is found. 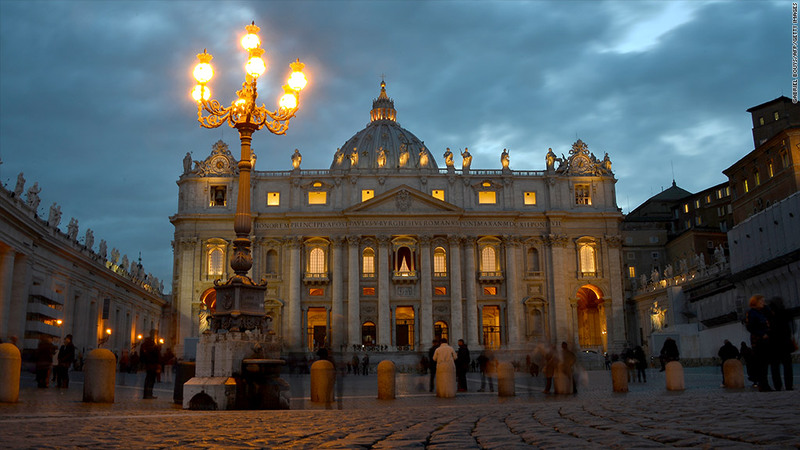 In May, the Vatican's financial watchdog agency issued its first ever report on money laundering in a move to improve financial transparency in the city-state. The document from the Financial Intelligence Authority showed six reports of "suspicious activity" in the past year, up from just one in 2011. It said the Vatican's prosecutors were investigating two of those reports for possible criminal activity, though it wouldn't elaborate further. The 64-page report detailed how the Vatican is looking to reduce the bank's exposure to money laundering and the financing of terrorist activities. The Vatican bank serves thousands of Catholic charities, religious orders and dioceses around the world, in addition to roughly 500 people living in the tiny city-state. It has some 33,400 accounts and about $8 billion in assets. --CNN's Hada Messia contributed to this report from Rome.